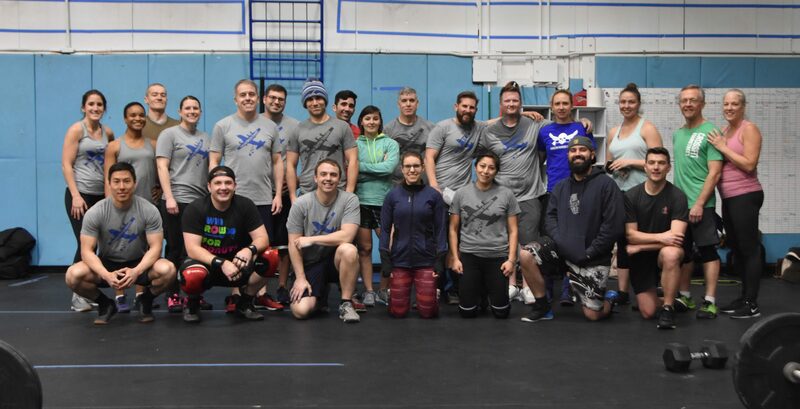 Our first three classes graduated the on-ramp course just over a week ago. Its been great to see people return to the class. We’ve already seen a lot of improvement in each of you. Lets keep it up. Remember, if you come into the class early, use the rollers, practice movements with PVC pipes and med balls, etc. The more effort you put into practicing, the faster you’ll learn. We have two more classes going through on-ramp this week. Please be patient with your coaching staff. Look at the schedule as there have been changes. The 0615 class is purely on-ramp this next week. 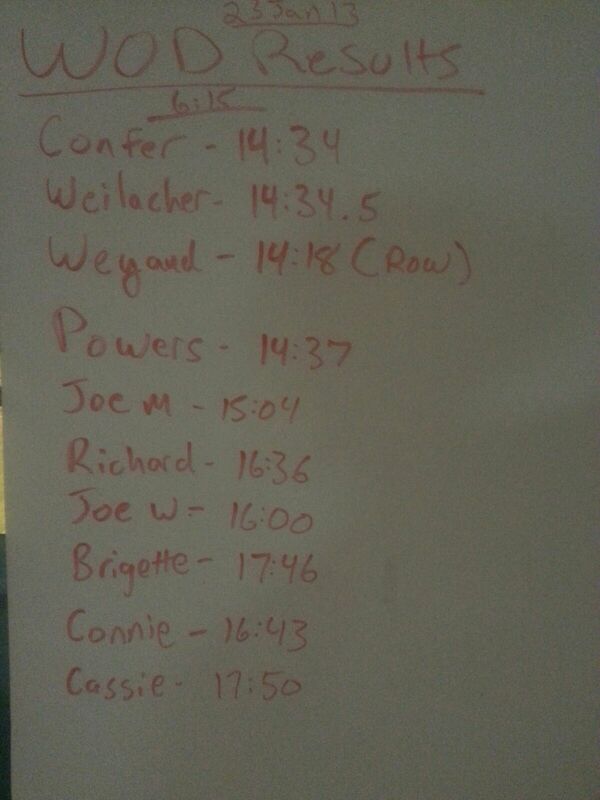 We also expanded to another on-ramp course at 1730 which pushed our afternoon WOD to 1630. As time goes on and we start to get more clients trained up, the schedule will stabilize. Anticipate minor tweaks like this one over the next couple months. Demand for slots is INCREADABLY HIGH! We are not able to accommodate everyone. So again, we ask for everyone’s patience. Looking forward to another awesome week with you all as you work towards your fitness goals… and CRUSH them! 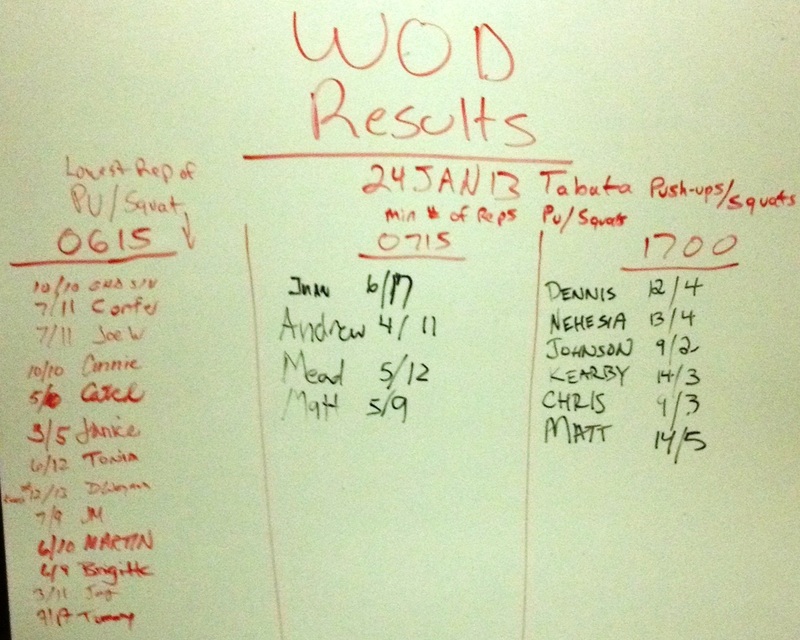 Great Results during the 0615 WOD!